Good afternoon! 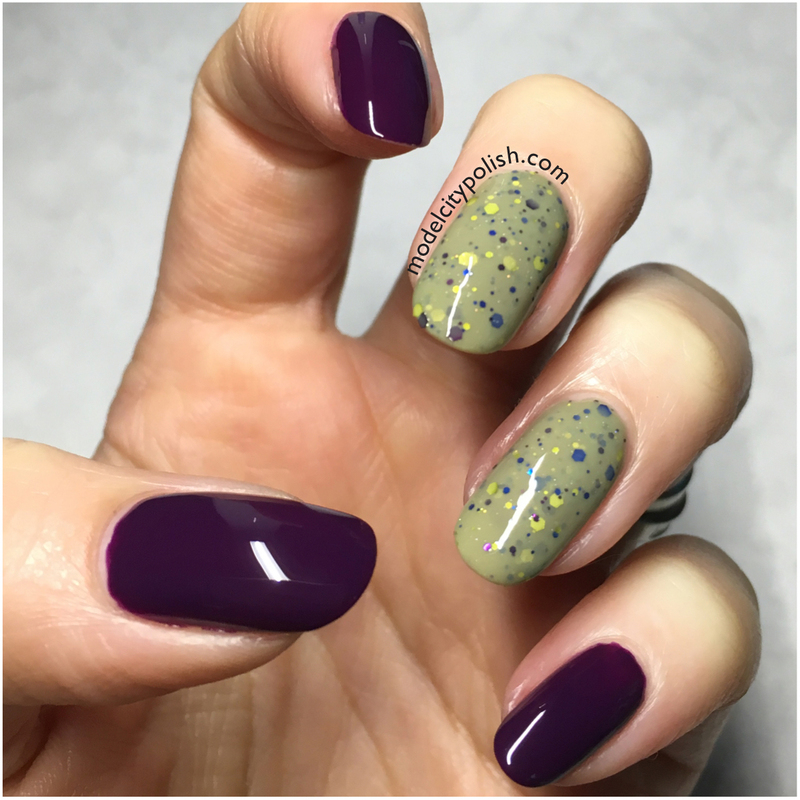 I have been baking in the humid deep south and decided that this Two for Tuesday I would cool things off with a more “fallish” mani. How is it we go from comfortable beautiful days to the one’s where you are drenched just stepping out doors? Ugh! 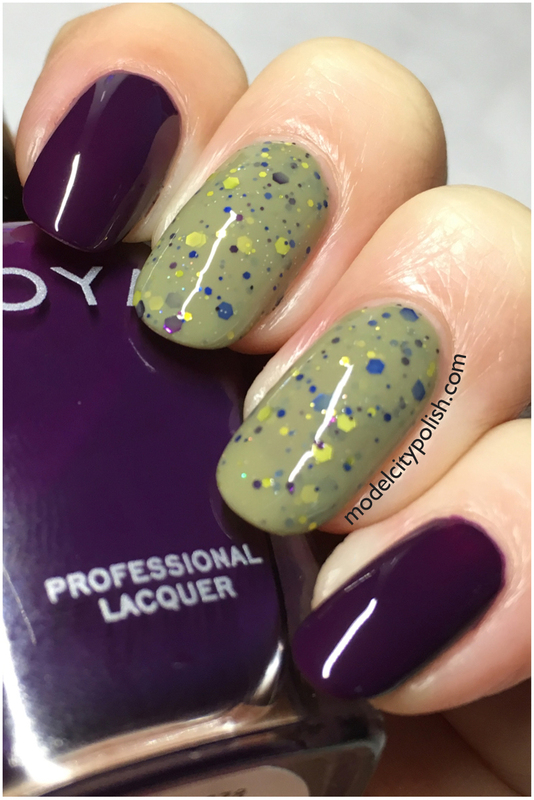 For today’s look I have paired three coats of Open Toad Shoes by KBShimmer and three coats of Lidia by Zoya. I sealed it all with a coat of Liquid Macro Top Coat by SuperChic Lacquer. What do you guys think of today’s Two for Tuesday pairing? I am loving this combo and adding it to my must wear again for fall. Thank you so much for stopping by today and I will see you all again tomorrow. I’d never have come up with that combo but it’s oddly satisfying. I’m a huge KBShimmer fan and am wearing one as I type. Thanks! KBShimmer has some of the best crellies on the market!!! Open Toad Shoes is such an original polish. I love that you paired it with one of the glitter colors for a pop of purple. 🙂 I love KB Shimmer’s names – crack me up. It is one of my favorites, though I say that about all my KB crellies! This makes those purple glitters pop! I’m not sure I would have even noticed them if the glitter wasn’t paired with that pretty creme! It certainly helped bring them out. I was so happy I decided on the purple pairing instead of blue. Love these two together! Lydia really pops those darker glitters in Open Toad Shoes. Great combo! What a fabulous pairing! 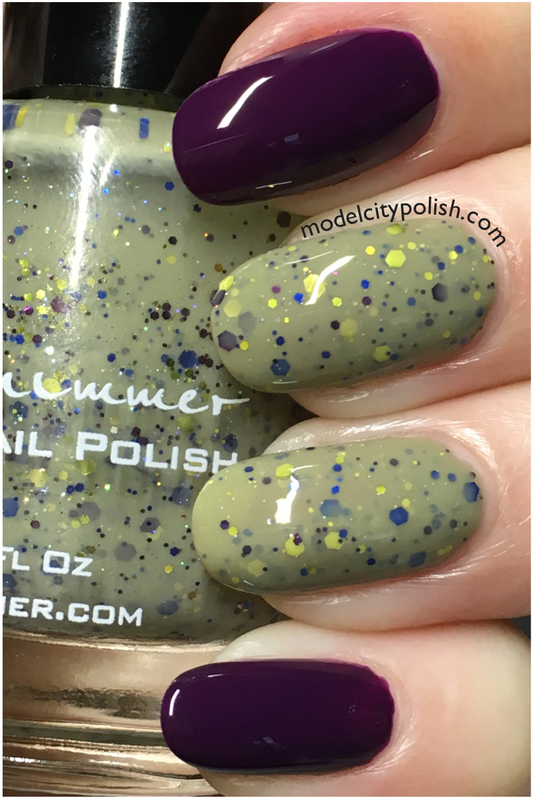 Those purples match so well, and I love the contrast of the purple creme with the army green base in the KBShimmer. Awesome pairing, as always! 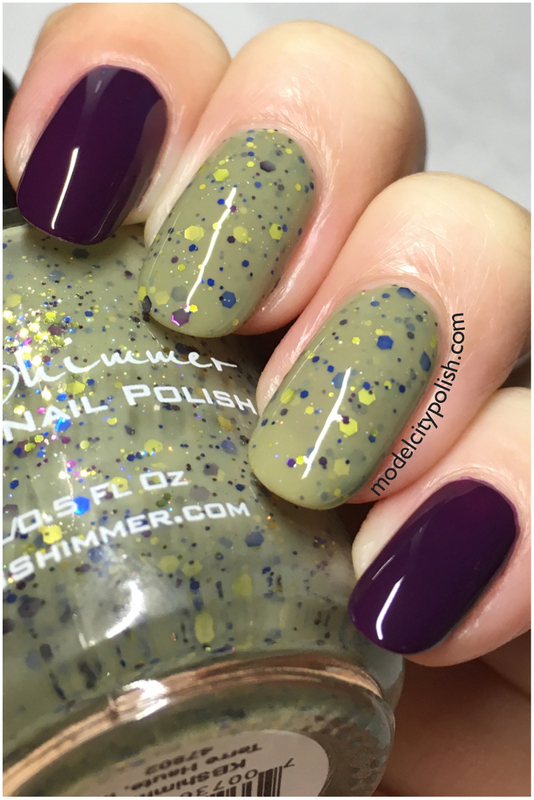 The name of that KBShimmer always makes me giggle! this combo is wonderful. I LOVE it. Open Toad Shoes is lovely! 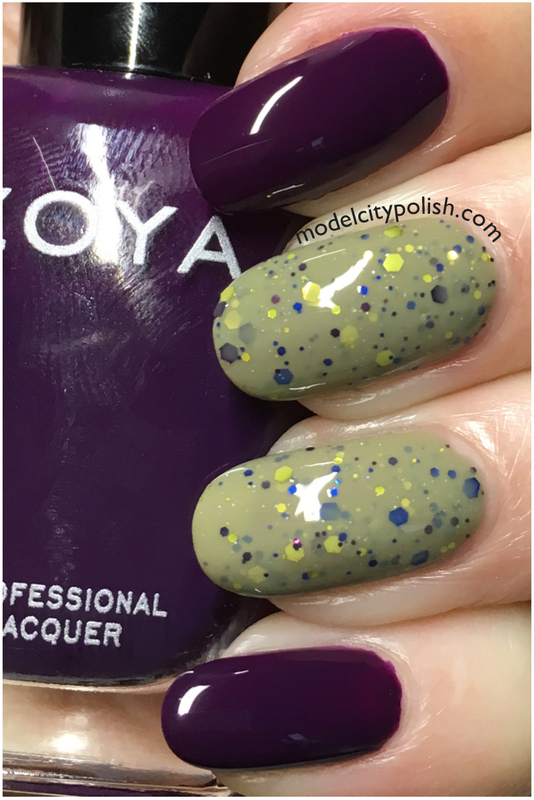 I don’t think I’ve seen a prettier olive green polish. It is pretty amazing! Not a color I would have worn by itself but with the added glitters, it’s perfection! 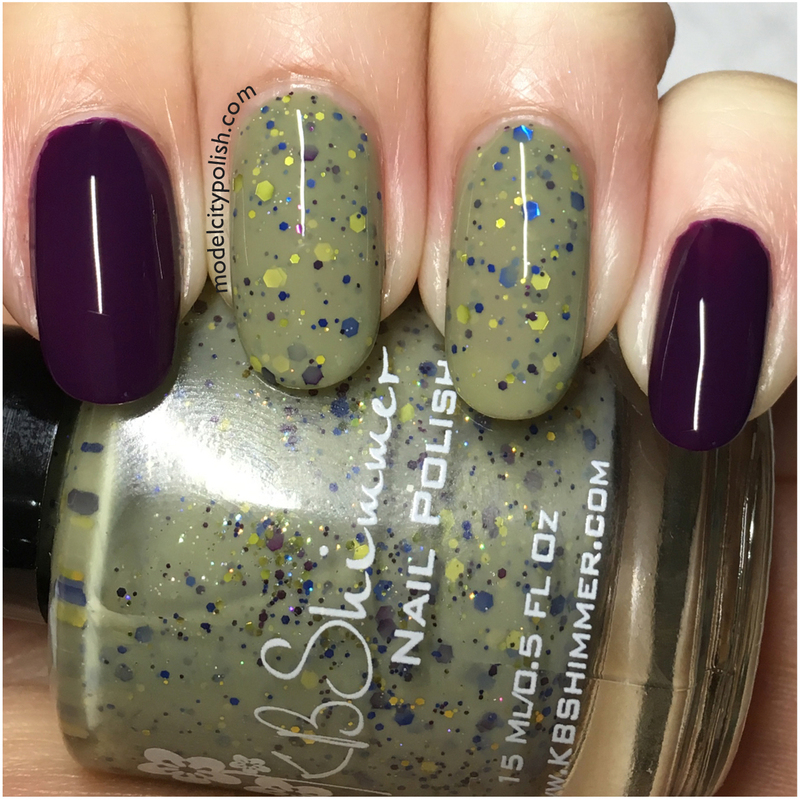 I love these two together, but I love that KB Shimmer… I had not seen this particular one before- it’s gorgeous. Very cool combo! 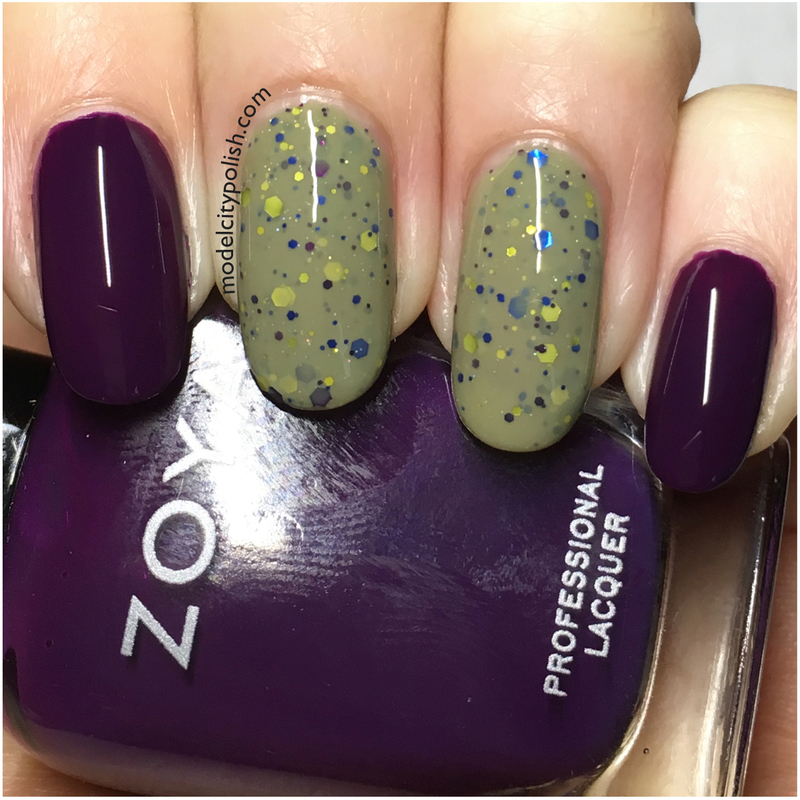 The rich purple and murky green glitter are perfect together. I love this combo, it’s so unexpected! Props for wearing a deep plum in June. What a gorgeous color combination! !